In the early 1950s, the United States began training networks of “stay behind” volunteers in Western Europe, so that in the event of a Soviet invasion, they would “gather intelligence, open escape routes and form resistance movements.” The CIA financed and advised these groups, later working in tandem with western European military intelligence units under the coordination of a NATO committee. In 1990, Italian and Belgian investigators started researching the links between these “stay behind armies” and the occurrence of terrorism in Western Europe for a period of 20 years. ‘Secret Armies’ or Terrorist Groups? These “stay behind” armies colluded with, funded and often even directed terrorist organizations throughout Europe in what was termed a “strategy of tension” with the aim of preventing a rise of the left in Western European politics. NATO’s “secret armies” engaged in subversive and criminal activities in several countries. In Turkey in 1960, the stay behind army, working with the army, staged a coup d’état and killed Prime Minister Adnan Menderes; in Algeria in 1961, the French stay-behind army staged a coup with the CIA against the French government of Algiers, which ultimately failed; in 1967, the Greek stay-behind army staged a coup and imposed a military dictatorship; in 1971 in Turkey, after a military coup, the stay-behind army engaged in “domestic terror” and killed hundreds; in 1977 in Spain, the stay behind army carried out a massacre in Madrid; in 1980 in Turkey, the head of the stay behind army staged a coup and took power; in 1985 in Belgium, the stay behind attacked and shot shoppers randomly in supermarkets, killing 28; in Switzerland in 1990, the former head of the Swiss stay behind wrote the US Defense Department he would reveal “the whole truth,” and was found the next day stabbed to death with his own bayonet; and in 1995, England revealed that the MI6 and SAS helped set up stay behind armies across Western Europe. In 1990, the Italian Prime Minister had confirmed that Italy’s “stay behind” army, termed “Gladio” (Sword), existed since 1958, with the approval of the Italian government. In the early 1970s, Italy’s communist support was growing, so the government turned to a “Strategy of Tension” using the Gladio network. At a top secret 1972 Gladio meeting, one official referred to making a “pre-emptive attack” on the Communists. As the Guardian reported, links between Gladio in Italy, all three Italian secret services and Italy’s P2 Masonic Lodge were well documented, as the head of each intelligence unit was a member of the P2 Lodge. In 1949, the CIA helped set up the Italian secret armed forces intelligence unit, named SIFAR, staffed in part with former members of Mussolini’s secret police. It later changed its name to SID. At the end of World War 2, a former Nazi collaborator, Licio Gelli, was facing execution for his activities during the war, but managed to escape by joining the US Army Counter-Intelligence Corps. In the 1950s, Gelli was recruited by SIFAR. Gelli was also head of the P2 Masonic Lodge in Italy, and in 1969, he developed close ties with General Alexander Haig, who was then Assistant to National Security Advisor Henry Kissinger. Through this network, Gelli became chief intermediary between the CIA and General De Lorenzo, Chief of the SID. Gladio was involved in a silent coup d’état in Italy, when General Giovanni de Lorenzo forced the Italian Socialist Ministers to leave the government. On December 12, 1969, a bomb exploded at the National Agrarian Bank, which killed 17 people and wounded 88 others. That afternoon, three more bombs exploded in Rome and Milan. 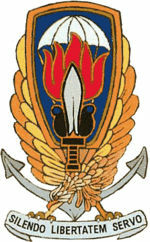 US intelligence was informed ahead of time of the bombing, but did not inform the Italian authorities. In 2000, a former Italian Secret Service General stated that the CIA “gave its tacit approval to a series of bomb attacks in Italy in the 1960s and 1970s.” The bombing was linked to two neofascists and to an SID agent. The Red Brigades were a leftist Italian terrorist organization that was formed in 1970. In 1974, Red Brigade founders Renato Curcio and Alberto Franceschini were arrested. Alberto Franceschini later accused a top member of the Red Brigades, Mario Moretti, of turning them in, and that both Moretti and another leading Red Brigade member, Giovanni Senzani, were spies for the Italian and US secret services. Moretti rose up through the ranks of the Red Brigades as a result of the arrest of the two founders. Aldo Moro, who served as Italy’s Prime Minister from 1963 until 1968 and later, from 1973 until 1976, was kidnapped and murdered by the Red Brigades in 1978, while still a prominent politician in the Christian Democrat Party. When he was kidnapped, Moro was on his way to Parliament to vote on inaugurating a new government, of which he negotiated, for the first time since 1947, to be backed by the Italian Communist Party (PCI). Moro’s policy of working with and bringing the Communists into the government was denounced by both the USSR and the United States. Among Moro’s released letters, which he was writing while in captivity, he stated that he feared that a shadow organization, with “other secret services of the West … might be implicated in the destabilisation of our country.” During his interrogation while in captivity, Moro even referred to “Nato’s anti-guerrilla activities.” However, the Red Brigades did not use this information, perhaps because, according to the founders of the Red Brigades, the leader of the organization at the time of Moro’s kidnapping, Mario Moretti, was working for the Italian or US intelligence services. Maverick Journalist Killed by President? On the morning of August 2, 1980, Italy experienced its worst-ever terrorist attack at Bologna train station, which killed 85 people, and wounded more than 200 others. A long and complicated investigation was undertaken, and eventually, a trial began. In 1988, four right-wing terrorists were sentenced to life in prison. Two other defendants were convicted of slandering the investigation, “Francesco Pazienza, a former financier linked to several criminal cases in Italy, and Licio Gelli, the former grandmaster of the so-called P-2 Masonic lodge.” This is the very same Licio Gelli who happened to be a CIA intermediary for the head of Italian intelligence for the Gladio network. Although later on, Gelli was acquitted of the charges.